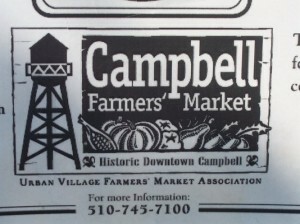 The Alum Rock Village Farmers’ Market is offering an incentive program that offers a $5 bonus when you purchase at least $10 in EBT/CalFresh tokens at the Farmers’ Market. If you receive CalFresh benefits (food stamps), bring your EBT card to the farmers’ market every time you shop. See the market manager in the bright yellow shirt to purchase tokens to spend in the market and claim your bonus. The Extra Five program continues at the Alum Rock Village Farmers’ Market until December 31, 2011. The Berryessa Farmers’ Market is offering an incentive program that offers a $5 bonus when you purchase at least $10 in EBT/CalFresh tokens at the Farmers’ Market. If you receive CalFresh benefits (food stamps), bring your EBT card to the farmers’ market every time you shop. See the market manager in the bright yellow shirt to purchase tokens to spend in the market and claim your bonus. The Extra Five program continues at the Berryessa Farmers’ Market until December 31, 2011. The Vallco Farmers’ Market is offering an incentive program that offers a $5 bonus when you purchase at least $10 in EBT/CalFresh tokens at the Farmers’ Market. If you receive CalFresh benefits (food stamps), bring your EBT card to the farmers’ market every time you shop. See the market manager in the bright yellow shirt to purchase tokens to spend in the market and claim your bonus. The Extra Five program continues at the Vallco Farmers’ Market until December 31, 2011. The Evergreen Farmers’ Market is offering an incentive program that offers a $5 bonus when you purchase at least $10 in EBT/CalFresh tokens at the Farmers’ Market. 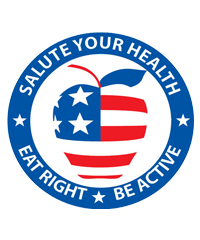 If you receive CalFresh benefits (food stamps), bring your EBT card to the farmers’ market every time you shop. See the market manager in the bright yellow shirt to purchase tokens to spend in the market and claim your bonus. The Extra Five program continues at the Evergreen Farmers’ Market until December 31, 2011. The Kaiser Permanente San Jose Farmers’ Market is offering an incentive program that offers a $5 bonus when you purchase at least $10 in EBT/CalFresh tokens at the Farmers’ Market. If you receive CalFresh benefits (food stamps), bring your EBT card to the farmers’ market every time you shop. See the market manager in the bright yellow shirt to purchase tokens to spend in the market and claim your bonus. The Extra Five program continues at the Kaiser Permanente San Jose Farmers’ Market until December 31, 2011. The Kaiser Permanente Santa Clara Farmers’ Market is offering an incentive program that offers a $5 bonus when you purchase at least $10 in EBT/CalFresh tokens at the Farmers’ Market. If you receive CalFresh benefits (food stamps), bring your EBT card to the farmers’ market every time you shop. See the market manager in the bright yellow shirt to purchase tokens to spend in the market and claim your bonus. The Extra Five program continues at the Kaiser Permanente Santa Clara Farmers’ Market until December 31, 2011. The Los Gatos Farmers’ Market is located on Montebello Way and Broadway Extension adjacent to Town Park Plaza in downtown Los Gatos. All their markets feature some of the best organic and non-organic fruits and vegetables, fresh fish, cheese, dried fruits, nuts, beans, herbs, breads, specialty spreads and dressings, preserves, juice, fresh cut flowers, and freeze-dried flower arrangements and wreaths in season. While there are no breads at the Los Gatos market, it is the only market with an oyster bar. The Milpitas Farmers’ Market at ICC is offering an incentive program that offers a $5 bonus when you purchase at least $10 in EBT/CalFresh tokens at the Farmers’ Market. If you receive CalFresh benefits (food stamps), bring your EBT card to the farmers’ market every time you shop. See the market manager in the bright yellow shirt to purchase tokens to spend in the market and claim your bonus. The Extra Five program continues at the Milpitas Farmers’ Market at ICC until December 31, 2011. The Blossom Hill Farmers’ Market at the Princeton Plaza Mall feeds the Blossom Hill Neighborhood of San Jose. 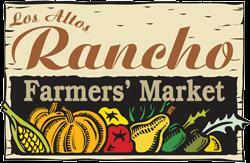 Meet over 40 California family farmers and local food lovers from all over Santa Clara County. Rain or shine! The San Jose Downtown Farmers’ Market is offering an incentive program that offers a $5 bonus when you purchase at least $10 in EBT/CalFresh tokens at the Farmers’ Market. If you receive CalFresh benefits (food stamps), bring your EBT card to the farmers’ market every time you shop. See the market manager in the bright yellow shirt to purchase tokens to spend in the market and claim your bonus. 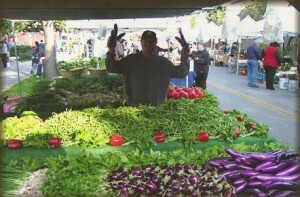 The Extra Five program continues at the San Jose Downtown Farmers’ Market until December 31, 2011. The Santa Teresa Farmers’ Market is offering an incentive program that offers a $5 bonus when you purchase at least $10 in EBT/CalFresh tokens at the Farmers’ Market. If you receive CalFresh benefits (food stamps), bring your EBT card to the farmers’ market every time you shop. See the market manager in the bright yellow shirt to purchase tokens to spend in the market and claim your bonus. The Extra Five program continues at the Santa Teresa Farmers’ Market until December 31, 2011. The Santana Row Farmers’ Market is offering an incentive program that offers a $5 bonus when you purchase at least $10 in EBT/CalFresh tokens at the Farmers’ Market. If you receive CalFresh benefits (food stamps), bring your EBT card to the farmers’ market every time you shop. See the market manager in the bright yellow shirt to purchase tokens to spend in the market and claim your bonus. The Extra Five program continues at the Santana Row Farmers’ Market until December 31, 2011. Seasonal fruits and vegetables for Saratoga and Santa Clara County year-round in the parking lot at the West Valley College at the Saratoga Farmers’ Market direct from local California farmers. With over 50 farmers and food producers, you are sure to find something you love! The Willow Glen Community Farmers’ Market – featuring nearly 40 booths – is located at The Garden Theater building, 1165 Lincoln Avenue, in the heart of Willow Glen. More than 100 on-site parking spaces are available, with vehicle entrances at both Meredith and Willow. The VA Palo Alto Farmers’ Market is offering an incentive program that offers a $5 bonus when you purchase at least $10 in EBT/CalFresh tokens at the Farmers’ Market. If you receive CalFresh benefits (food stamps), bring your EBT card to the farmers’ market every time you shop. See the market manager in the bright yellow shirt to purchase tokens to spend in the market and claim your bonus. 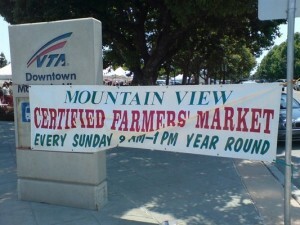 The Extra Five program continues at the VA Palo Alto Farmers’ Market until December 31, 2011.